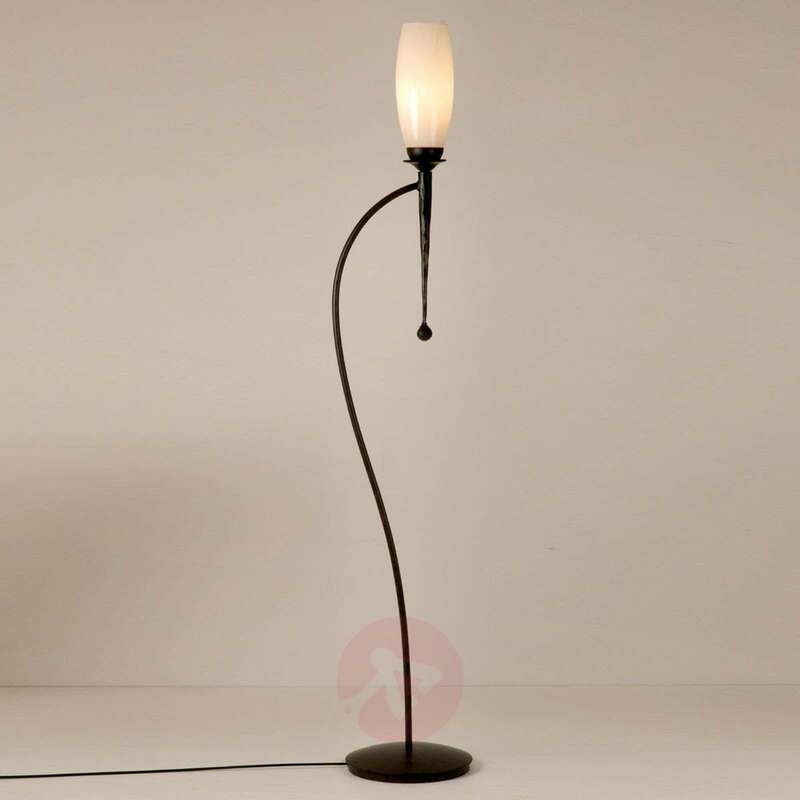 The base and metal frame of the exceptional CHATEAU floor lamp are made of metal and painted in black-brown. A white opal glass, which completes the light’s beautiful design and guarantees pleasant lighting, sits in the rod-shaped holder. 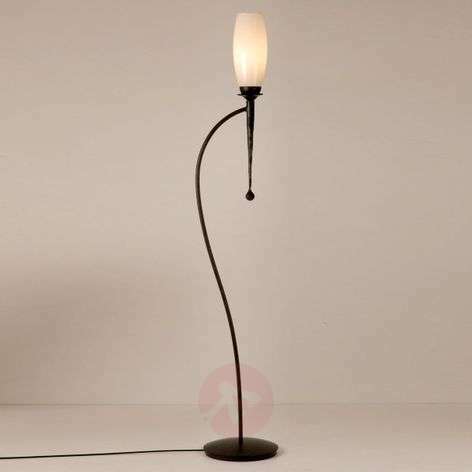 The floor lamp can be fitted with energy-saving light bulbs. 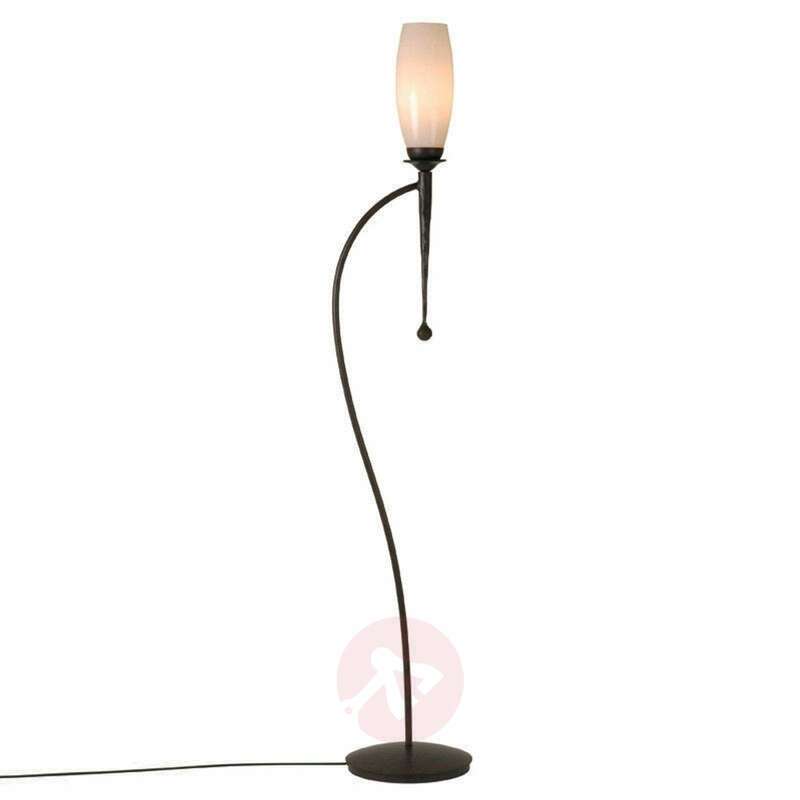 It provides wonderful additional lighting in every room and is at the same time a beautiful decorative piece. These beautiful lights, which are handmade in Europe from natural materials, are characterised by a high degree of quality. Small batches lead to individuality, diversity and unique products.